Most of us can agree that if you don’t monitor data such as your Key Performance Indicators (KPIs), it will be tough to determine how successful your affiliate campaign will be. To effectively optimize your campaigns, you must have the ability to carefully analyze your customer and revenue data. You also need to be capable of measuring affiliates’ performance by tracking sales, conversions and clicks from affiliate websites, so you can identify the right ones for you. That said, insight gained from data reporting tools can have a significant impact on your campaigns’ profitability. Since you can’t fix or improve what you can’t measure, choosing the right analytical reporting software is of vital importance when you’re striving for peak revenue performance. As a result, Share Results has developed a software which offers financial institutions the ability to keep a close eye on these vital KPIs. Our tool offers comprehensive reports, giving each client the ability to effectively track the performance of their affiliate program, and compare them side-by-side. This includes reporting at a brand-wide level, measuring the performance of specific affiliates or groups of affiliates, campaign-level performance, and payment reporting. By the same token, all reporting can be run for a wide selection of time frames, including set periods or specific date ranges. 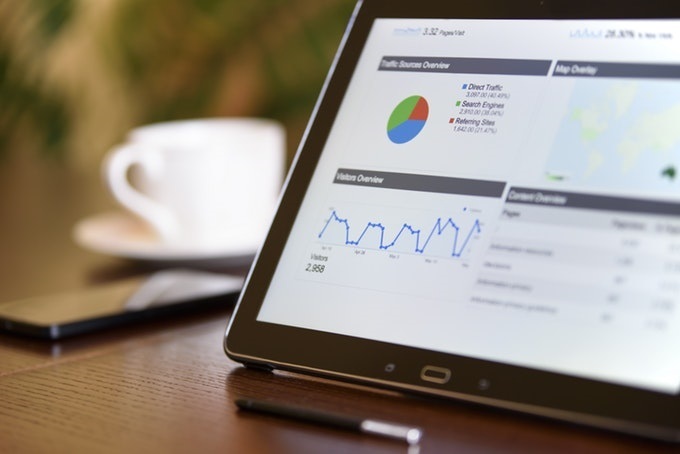 In addition, with our APIs, it allows data to appear on the client’s dashboard, giving them a holistic view of their digital marketing budget. • Product comparison – You can compare your financial products and see how each one is performing. • Category performance – You can see if certain niche websites work better than others for your product. • Campaign performance – You can see how well your campaigns are performing and see if they perform better during certain periods. For example, was March a more successful month then June? As a financial institution, logging into your account and keeping an eye on the commissions/ conversions is important because you can easily track your affiliates’ commissions for each product in one place. • Hybrid – Allows you to combine percentage and CPA, like a 10% commission combined with a $20 CPA for every approved customer. • Per-Product Commission – You can establish different commissions for each product. For example, you can have a product with a $45CPA per approved customer and another with a $100CPA. • Campaign specific commissioning – In case you are running a unique promotional campaign and you want to offer a special commission. The ACID Tool is a feature on our software that allows partners to add custom parameters to their links which enables more detailed tracking of each transaction, but also helps track the traffic generated to a merchant’s website. With this tool, you can immediately identify the most valuable campaigns, content, keywords, and audience segmentation. Before signing up to an affiliate program, affiliates examine existing features and are often inclined to choose the ones that offer advanced tracking capabilities. And, since most affiliates use Google PPC to drive traffic, features like ACID reporting can be quite appealing because it gives them the opportunity to effectively track their keywords conversions and measure their campaign ROI. These are just a few examples of the different software functionalities that are needed to optimize any affiliate program. Though everyone will have different needs, their affiliate network/tracking platform capabilities are the key to success. At Share Results our clients receive free training on how to take full advantage of our software. So, don’t be afraid to utilize these tools to optimize your affiliate marketing program.